Iggy Azalea And Nick Young Engaged! Rapper Iggy Azalea showed off a huge engagement ring on Instagram, courtesy of her boyfriend, Nick Young. on his birthday. The 10.43 carat Jason of Beverly Hills engagement ring is worth a whopping $500,000. After the proposal, Nick (SwaggyP) took to Instagram and wrote, “She said yes. It’s over man. I’m getting married!” The duo have been dating since late 2013. Congrats on the new announcement. On a side note, Iggy explained canceling her tour in a statetment...she wanted to perform new stuff, she was tired and she couldn’t find an opening act are some of her reasons. I’ve had a different creative change of heart. I want to start totally anew, and if I stayed on my tour, that would mean I wouldn’t even be able to start working on that until after Christmas. On top of that, mentally, to be honest with you, I just feel I deserve a break. I’ve been going non-stop for the past two years, nearly every single day. I’m not in a bad place. I think sometimes when you say you need a mental break, people are like, “A mental break? Be sure you don’t have a breakdown because you’re sad.” No, not necessarily. It’s very emotionally draining to be on all the time and going all the time, planning all the time. It’s a lot, and it’s tough. I need a break from everything to just enjoy what I worked so hard for, and I don’t really feel like I’ve had a chance to do that. I need a break to figure out what I want my sound to progress to, and I need a break to figure out how I want my visuals to progress. It can kind of wear on you, too, when you’ve been doing the same material for a really long time. Even though a lot of people just discovered it, I am a musician and a creative person and I want to be able to perform new stuff and do new things. I feel like I’m at the end of an era now. To go on a tour in late September and to stay in that mindset of what I’d envisioned for that tour, I feel like that would stifle me. And then, on top of that, once I postponed [the tour the first time], I couldn’t find two opening acts. I began the search, and to be honest, I never found someone who was available on those dates that I thought was a good fit for the tour. It just seemed like it was so many things pointing me in the direction of not doing [the tour], that I finally thought, when enough things come your way, you can’t ignore the signs. It’s not easy to decide that the best thing to do is cancel a tour, but that’s the best thing for me. I don’t want to disappoint fans. I feel really bad. It was a tough decision to make, but it was the best thing. There are people thinking it’s me giving up, or me failing at something, somehow. I said to a friend the other day, “The only reason why at this point I would stay and do this tour is to save face publicly, or to not endure publicly what people will say if I cancel it,” and that’s not a good enough reason to do something. So that’s the choice I made. 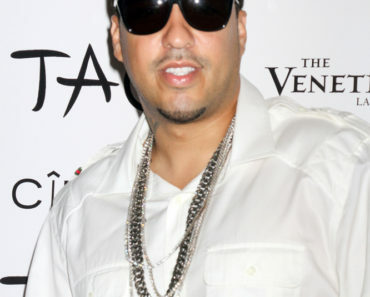 Is French Montana Using Khloe Kardashian For Her Fame? Jennifer Lopez & Bradley Cooper Spotted Together Again?! Teyana Taylor Scrapped With Director Over Infected Tooth! Charlie Sheen Plans To Sue CBS & Warner Bros., Not Heading to Rehab!